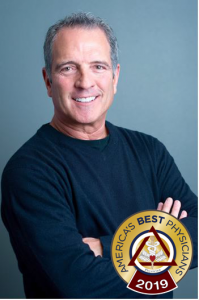 DENVER, COLORADO, UNITED STATES, April 1, 2019 /EINPresswire.com/ -- Dr. Julian Gershon Jr., DO, FAOSM ABAARM of the Aspen Institute for Anti-Aging and Regenerative Medicine has been nominated for inclusion in America’s Best Physicians of 2019 for his field-leading work with rejuvenation through stem cell therapy. With consistent and critical developments in anti-aging and stem cell PRP therapy, DR. Gershon’s work is cutting edge with no only aesthetic applications, but also reduction, cessation, and reversal of osteo-aging conditions for arthritic patients. This nomination comes in conjunction with his cutting-edge therapy investigation with precision therapies utilizing umbilical cord stem cells. Dr. Gershon and his team are tireless advocates for medical therapies applying the science of ‘blank cell’ rewiring in patients, providing relief and reversal of symptoms through their work. This elite nomination brings prestige and recognition for years of hard work for the betterment of the community. Stem cell therapy provides a solution to the repair and preventative treatment of joint damage, reducing the complication of the inflammatory nature of osteoarthritis with umbilical cord blood stem cells. Treatment is enacted through specific targeting of therapies engineered to pinpoint delicate regions of the body where joint damage is present. Through recognition of his nomination, Dr. Gershon is progressing with his research with the focus of reversing joint damage caused by inflammatory diseases, including osteoarthritis, with his ground-breaking precision therapies using umbilical cord blood stem cells. As the science and therapeutic application of the process is still in its infancy in regard to treatment solutions, the results are proving successful in patients who qualify for the procedures. As such, the team at Aspen Institute for Anti-Aging and Regenerative Medicine are providing valuable results for use throughout their global network of referring physicians, allowing for a progression of the revolutionary treatment to gain ground as a viable solution in regenerative medicine. 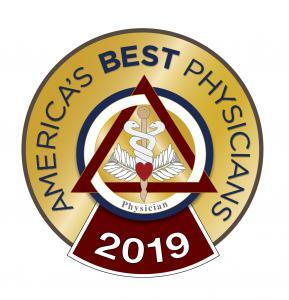 Following up his recent awarded fellowship in stem cell therapy from the American Academy of Antiaging and Regenerative Medicine, this nomination for inclusion in America’s Best Physicians 2019 is a welcome inclusion for Dr. Gershon’s recognized work in the field of stem cell therapy application. The team at Aspen Institute for Anti-Aging and Regenerative Medicine is extremely proud to call him a colleague.